The Alert Fire Co. No. 1 will be hosting the Sixth Annual Alert Fire Co. No. 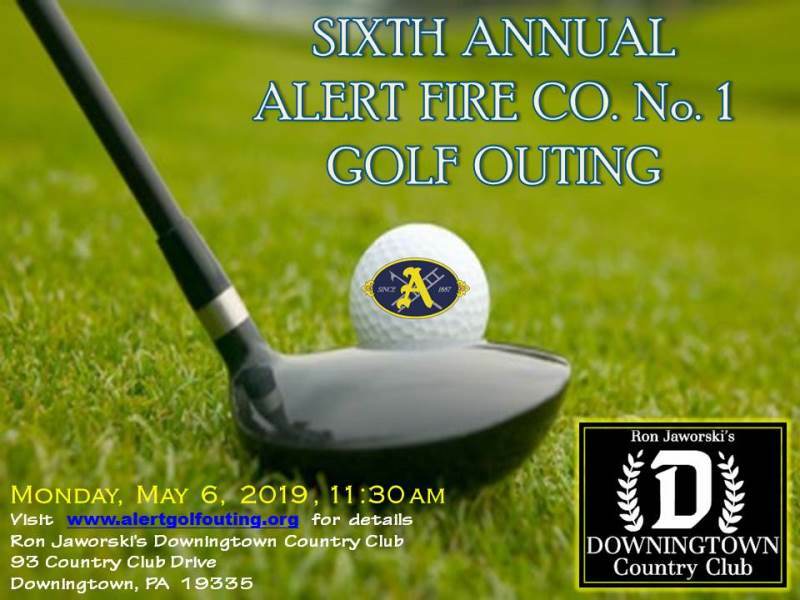 1 Golf Outing, on Monday, May 6, 2019 at Ron Jaworski’s Downingtown Country Club. There are several different opportunities for you or your business to join with us for this special event. We are asking you to help us this year, by partnering with us and either being a sponsor or registering to play in the golf outing. In the Information Packet, you will find several different Sponsor Levels to choose from. 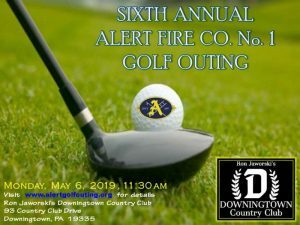 As one of our sponsors, you will have your name or business prominently displayed on our golf outing website ( http://www.alertgolfouting.org/ ), our Facebook page and signage during the golf outing. In addition to the Sponsor Levels, we will gladly accept items that can be given away to our golfers as door prizes and raffles at the awards dinner and at registration. You can also register to golf in the outing on our golf outing website at www.alertgolfouting.org. Thank you for considering to golf in the outing, become a sponsors or a prize donation. Your contribution is greatly appreciated. We hope to see you on May 6, 2019. Registration deadline is May 1, 2019.